Want to add a boot bag? What Makes It 'Special"? 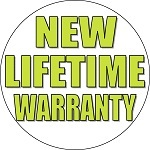 Accessories and Lifetime Warranty. 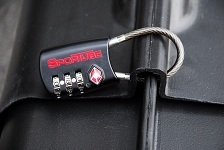 The Series 1 Special Edition Sportube case comes with our most popular accessories, the versatile, multi-use Nik Nac Pac, the ergonomic, back saving Easy Pull Handle, the TSA Combination Cable Lock and a Manufacturer's Limited Lifetime Warranty. Other than that and the color, the 'Original' and 'Special Edition' cases are identical. As skis and bindings evolved, in 2006, we modified the mold of all Sportube cases to increase the size to accommodate all ski models and binding types. If you have have a question about your particular set of skis and bindings, please double check the technical specs tab above vs. the widest part of your ski. During testing at our HQ, we found we were able to fit a twin tip, full rocker pair of skis that are 160mm at their widest point. As long as you have regular alpine bindings, you are in the clear. If you do have rise plates or demo bindings (taller due to adjustment track), your skis need to be 140mm or less at their widest point. It's functional; it's pretty; I look forward to next ski season.